Railroaders number one priority each and everyday is the safety of their railroad for their customers, commodities, and the general public. Through the growing economy, rail shippers have been able to move more loads and grow their business. 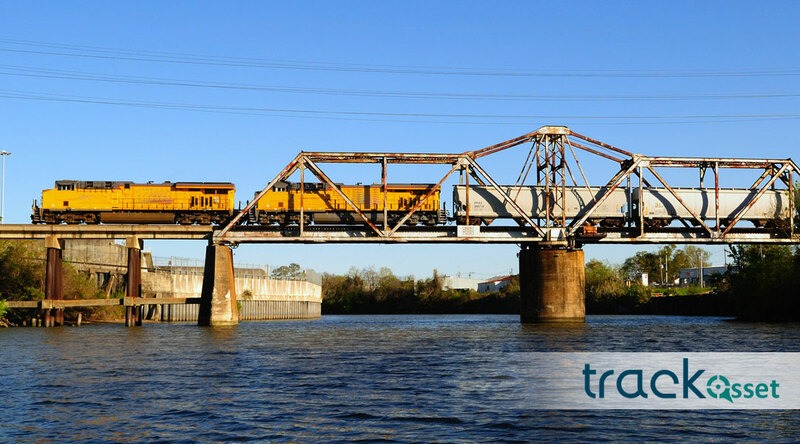 The number of trains running over tracks, through crossings, and over railroad bridges draws attention to the need to regularly inspect these assets per the Federal Railroad Association (FRA) regulations. Many railroads today still conduct these inspections using paper forms. No one needs to be told that railroading is an older industry but even still it is so and with that some areas needing of innovation have not seen the benefits that other industries have. One such area is electronic systems to be used for capturing these regulatory inspections. Wayside signals, crossings, bridges, track, PTC equipment, and locomotives are all assets that need to be inspected at monthly, quarterly, bi-annually, and annually intervals based on the requirements for that specific asset. Railroaders number one priority each and everyday is the safety of their railroad for their customers, commodities, and the general public. Through the growing economy, rail shippers have been able to move more loads and grow their business. The number of trains running over tracks, through crossings, and over railroad bridges draws attention to the need to regularly inspect these assets per the Federal Railroad Association (FRA) regulations. Many railroads today still conduct these inspections using paper forms. No one needs to be told that railroading is an older industry but even still it is so and with that some areas needing of innovation have not seen the benefits that other industries have. One such area is electronic systems to be used for capturing these regulatory inspections. Wayside signals, crossings, bridges, track, PTC equipment, and locomotives are all assets that need to be inspected at monthly, quarterly, bi-annually, and annually intervals based on the requirements for that specific asset. How do you justify the cost of an electronic system in an area where the only current cost is the cost of the paper a form may be printed on? First of all the system is electronic system has no need for paper whatsoever. The thousands of copies of paper that are printed each month or year are no longer needed. That’s a lot of saving on printing costs. Secondly, with real time updating on systems administrators are able to be notified of defects as soon as they are found with in most cases, pictures applied to the particular defect. The current process may involve a phone call, a picture through a text chain, or any number of other avenues that could lead to the individual who needs to see it not able to see it in a timely fashion or not receiving it due to an overlooking on either the inspector’s part or the supervisor himself. Electronic systems give the option to receive emails as soon as a defect is recognized and if the system is properly maintained and used, alerts within the system can also point out the issues needing to be resolved. Increased communication can lead to better decision making as it relates to getting an issue resolved. For example, if an inspector conducts a track inspection and he or she were to find defect and that information were not properly recorded and passed along for whatever reason and a train were to derail at that defect’s location, the cost of a electronic system has already been passed by the loss of the commodities on the train and the damage to the train and track itself. There are many cases to be made for the benefits of collecting all asset data in one system. With that clear picture that these systems exist and that the cost benefit is there, here are some cases that demonstrate how these sytems can be helpful to a railroad or contractor. Let’s say that Railroad A uses OB12 Batteries on their crossings. The information that they track in the system on those batteries tells them the manufacturer of the batteries. After two monthly inspections the battery is dead and needs to be replaced. That goes for every crossing that houses the same battery type. The cost of these batteries can now be calculated out consistently based on the data collected through the inspection. Translate that to track where one section of track is consistently facing issues with wide gauges. After two months of inspections, the data clearly shows it would be beneficial to replace the ties in that section of track. Railroads, contractors, and transit authorities can now map out repair costs with more predictability and accuracy based on real data that doesn’t have to be sorted through by paper forms or countless spreadsheets. Given all the information above a electronic system sounds great and you’re ready to find one today, right? So let’s go over the options for these systems. There are a few companies that have decided to pursue this technology and some have done it better than others. The main problem with some of these companies is that their system only does one type of asset. One has a system that is good for track, while another only does crossings and signals. Another company only does bridges, so with that said you have three different systems, three different logins, and three different places where you have to go grab data that may be needed for one of the other systems. Thankfully, there are two companies that house inspection management for each type of asset. First is General Electric (GE), whose product RailDocs app was released in September 2016 and only updated once (Nov. 2016) since that date according to their website page on the application. RailDocs is a set platform with little room for customization to a railroads needs. The other option is Railroad Software’s TrackAsset. TrackAsset is a newer software application that like RailDocs is a cloud based mobile inspection management software. Railroad Software’s product is different in the application is completely configurable to a particular customer’s needs. It is updated regularly based on customer feedback and input, which benefits the entire customer base. Though it is a newer application, customer and FRA feedback on the system has been extremely positive. Take this information and begin the conversation at your railroad, make change happen in 2019! Please check out TrackAsset’s page for more information or to schedule a demo. Connect with Evan on LinkedIn here or by email at emitchell@railroadsoftware.com. Follow Railroad Software on LinkedIn for more. Each of these features provide our customers a lower operational cost while giving them real-time and current information to make quick and informed decisions. Increase the Accuracy, Productivity, & Visibility of your Maintenance of Way Assets and Inspections. 234.225 - Activation of warning system. 234.227 - Train detection apparatus. 234.235 - Insulated rail joints. 234.257 - Warning system operation. 234.267 - Insulation resistance tests, wires in trunking and cables. 236.382 - Switch obstruction test. 236.387 - Movable bridge locking. Part 237 - Bridge Safety Standards. 237.155 - Documents and records. Railroad Software was founded with a single goal, “to make railyard management software available and affordable to every rail yard in the world regardless of their size or technical capabilities.” We believe as you learn more about our product you will keep your rail terminal “on the right track”. 102 Mary Alice Park Rd. © Copyrights 2019 Railroad Software. All rights reserved. Thank you for message! We will be in touch soon!